Sue has been dedicated to the design, development and success of partner programs in the security market for much of her distinguished career. 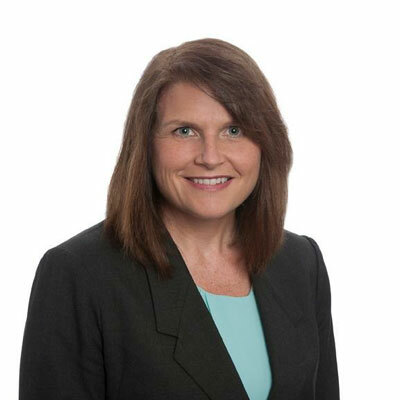 She has previously held positions leading regional and global channel programs and operations at Symantec, where her innovative programs resulted in top line revenue growth and additional profitability opportunities for partners. Sue has also led global channel marketing for eSentire, a managed detection and response start-up, where she created marketing strategy, enablement approach and launched new security services across a diverse partner ecosystem. Based in New York, NY, Sue is an avid runner, yoga practitioner and music enthusiast. Since joining McAfee this year, I've worked diligently to simplify and enhance the portfolio of McAfee profitability programs for our partners, with the goal of enriching the value proposition for partnering with us, and rewarding those partners who have invested deeply in our relationship in a predictable fashion. Whether partners have grown top line sales or have focused on migrating our joint customers to the latest ENS offering, our team has created multiple opportunities for partners and distributors to grow their business with McAfee. By the end of 2018, McAfee will be the No. 1 security provider AND partner to over 80 percent of the Global 2000. I'm focused on: Strategic Engagement: Go deeper and align with select set of partners with the capabilities our customers are seeking. Mutual Growth and Profitability: We drive this through stronger account engagement, engaging earlier and more often with our partners. Higher performing partners have the opportunity to earn more. Better Customer Outcomes: Delivering new partner systems, tools, and reference architectures to our partners and enhance pre-sales, technical sales, services and support training for integrated solutions and services. I didn't receive any special awards, but am very proud that I earned a finisher's medal at the 2017 Baystate Marathon. Eleanor Roosevelt is someone who I admire greatly for her activism and humanitarian work. She was able to leverage the platform that comes with being the First Lady to advocate for child welfare, housing reform and so many other aspects of social justice. She had an immense impact on the lives of Americans. I'd tell my younger self to trust in yourself, never lose your sense of humor and definitely don't date the musician. Helping other people to achieve their goals is something I find to be extremely rewarding. I have a strong interest in career coaching and have had some training in the field, but would really love to invest more time in further developing my coaching skills and eventually become certified. Isaac's Storm by Erik Larson is a great read. The book chronicles one of the deadliest natural disasters in US history - a hurricane that killed over 6,000 people in Galveston, TX in 1900. I was fascinated by the science and what was really understood about storms at the turn of the century, and how human arrogance in not taking the signs seriously enough had such a devastating impact to loss of life.